How Can I Make My Divorce Property Settlement Faster? Divorce happens. In fact, 1 in 3 Australian marriages will end in separation. Perhaps it’s the commonality of divorce that provoked Attorney-General George Brandis to sneak through a rise to the cost of divorce applications from $845 to $1200, despite the Senate blocking the move last month. Family breakdown shouldn’t be used as a government cash grab. As common as it may be, divorce and separation is more often than not a dark, uncomfortable and highly stressful time in a person’s life. Divorce isn’t afraid to take its emotional toll. It’s not afraid to cost you financially either. How long does divorce take and how much will it cost? In Australia you need to be legally separated for a year before you can file for divorce. 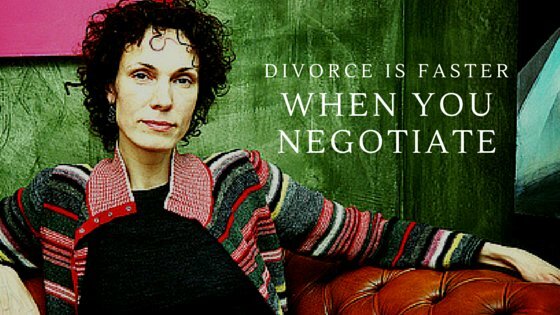 It will then take around four months to get your final Divorce Certificate, considering there are no obstacles encountered when it comes to serving your spouse with the Divorce Order. Property settlement is then a separate process. Application for maintenance or the division of property will then need to be filed within 12 months of your divorce being finalised. But you can start the property settlement process at any time. Sooner is often better. Know your finances, seek advice and then work alongside your family lawyer. Property settlements can be sped along when both parties know who contributed what over the course of the years. You also need to take the time to organise your individual finances: What’s your superannuation plan? What debts do you have? What have you contributed – both in terms of wages but also in work and effort? Take the time to speak to a financial advisor and then to your family law solicitor. It’s often a good idea to seek the advice of either a financial adviser or lawyer prior to separation. This way they can help you organise an independent financial strategy, helping to take some pressure off the financial readjustment phase that comes with newly going it alone. Find out more about CM Lawyers’ solicitor fees.